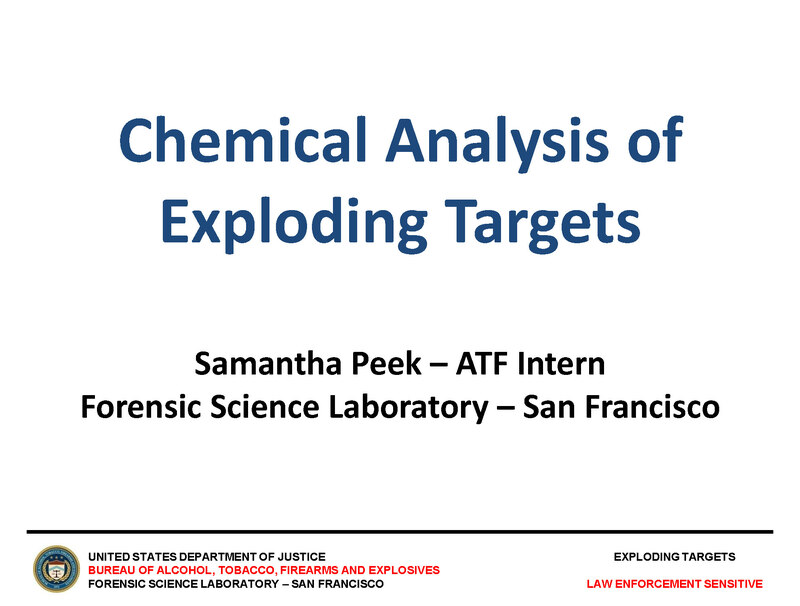 Over the past few months, ATF Agents have contacted the Forensic Lab to inquire about the chemical components of various exploding targets. 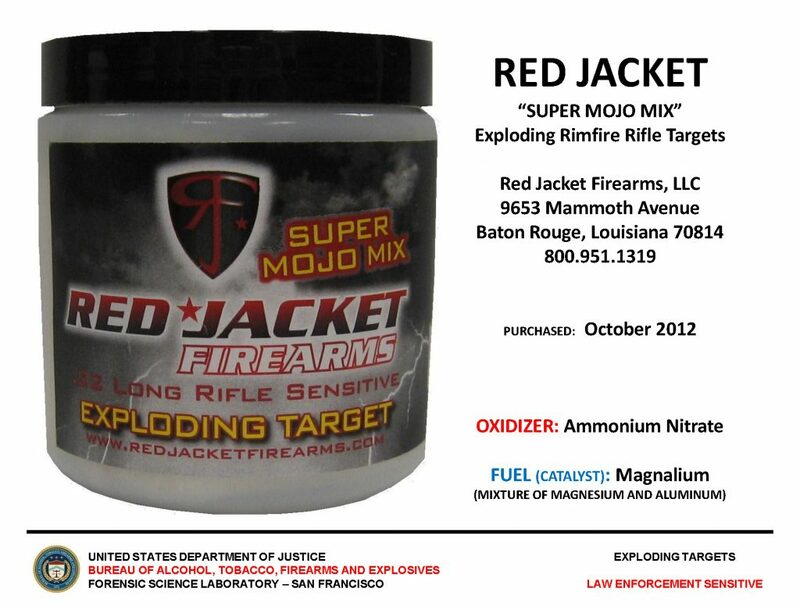 To assist Agents with their inquiry, exploding targets were purchased (September 2012 to October 2012) from numerous distributors and chemically analyzed. All exploding targets contain an oxidizer and a fuel (catalyst). 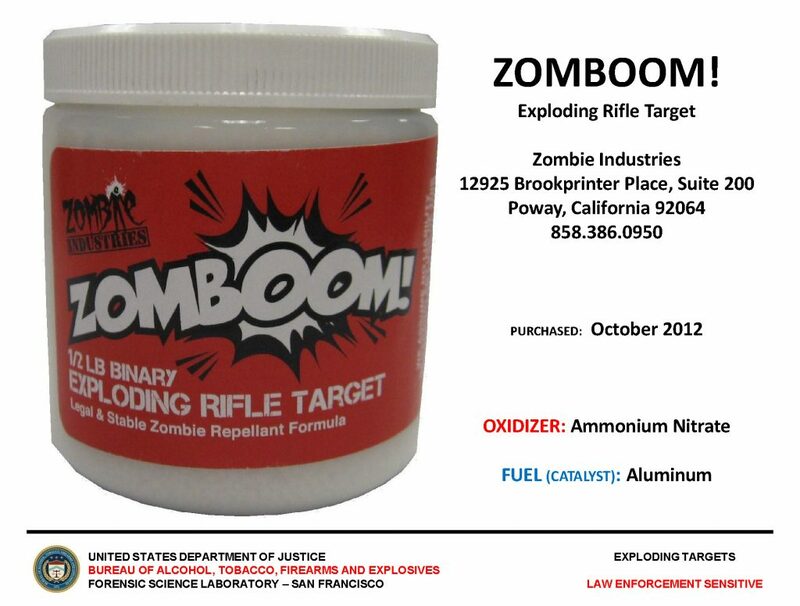 When these two components are properly mixed, the resulting mixture becomes a shock sensitive explosive. 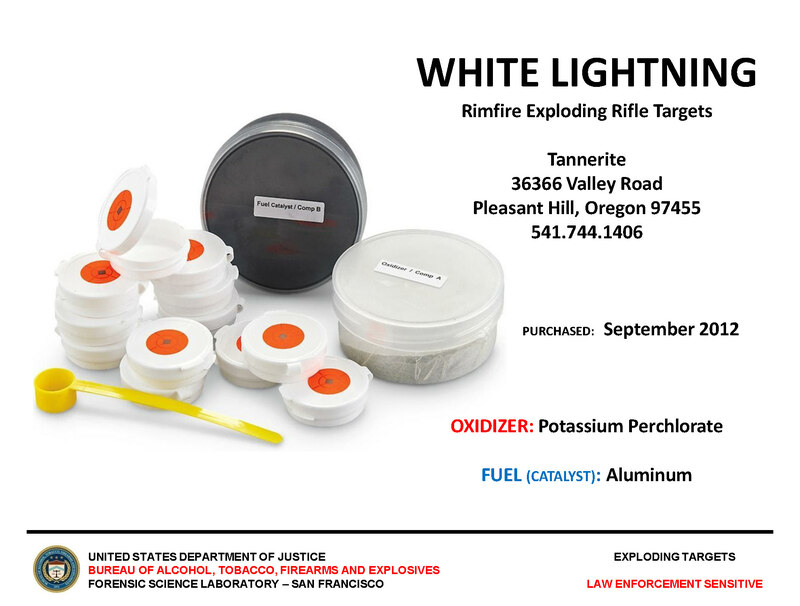 The exploding target oxidizers and fuels were analyzed using Infrared Spectroscopy, Scanning Electron Microscope / Electron Dispersive Spectroscopy (SEM/EDS), and X-Ray Diffraction. 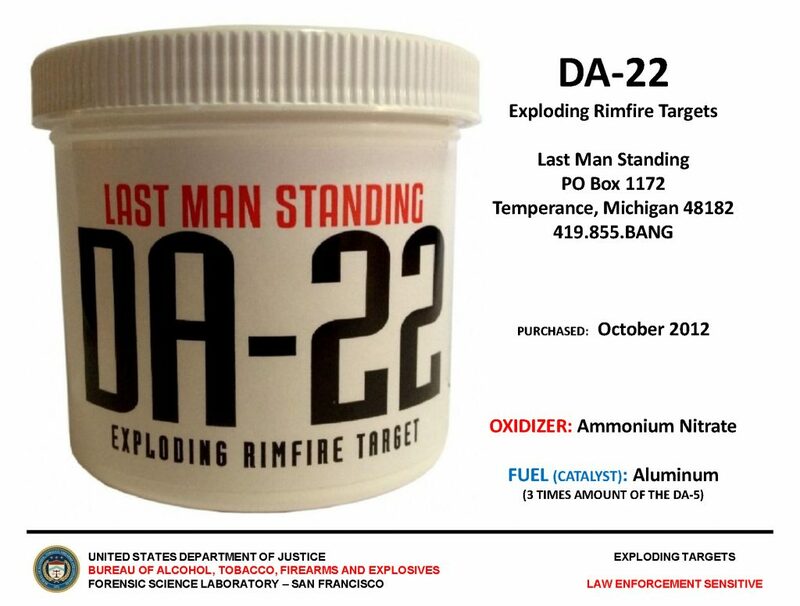 All analysis was supervised by Forensic Chemist John Jermain. For additional questions and information, contact John at 925.280.3607. 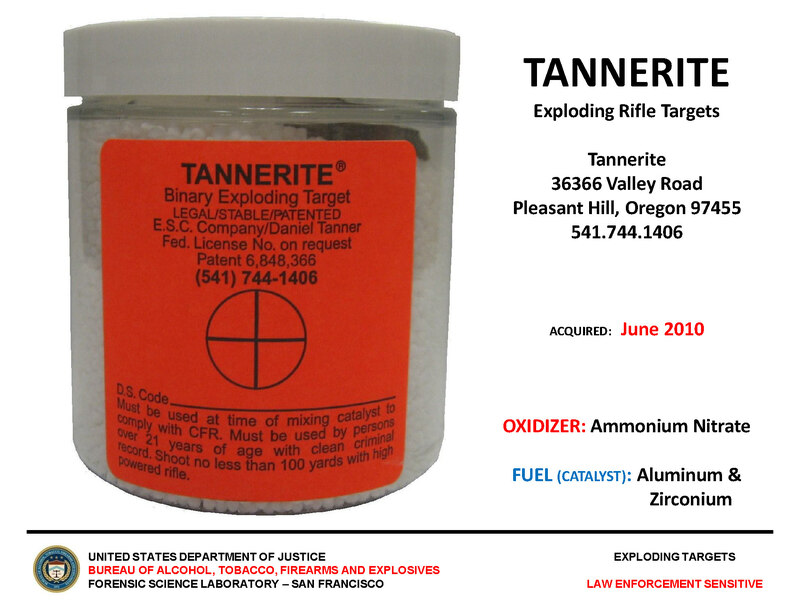 Additional studies dealing with exploding targets will be conducted by Forensic Chemist Brittany Crane and will be published at a later date.